Kittilä is a municipality of Finland and a popular holiday resort.It is located in northern Finland north of the Arctic Circle within the Lapland region. 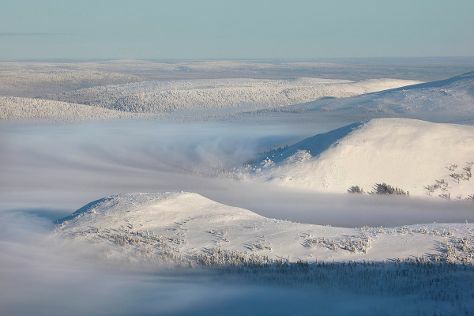 Step out of Kittila to go to Muonio and see Pallas-Yllastunturi National Park, which is approximately 1h 05 min away. There's lots more to do: fly down the slopes at Yllas Ski Resort, don't miss a visit to Giewont Husky Adventures, look for all kinds of wild species at Wildlife Areas, and stop by Elan Ski Shop & Rental. To see traveler tips, ratings, reviews, and tourist information, you can read our Kittila trip planner . Kuala Lumpur, Malaysia to Kittila is an approximately 26-hour flight. The time zone difference when traveling from Kuala Lumpur to Kittila is minus 6 hours. Plan for much colder temperatures traveling from Kuala Lumpur in October, with highs in Kittila at 3°C and lows at -3°C. 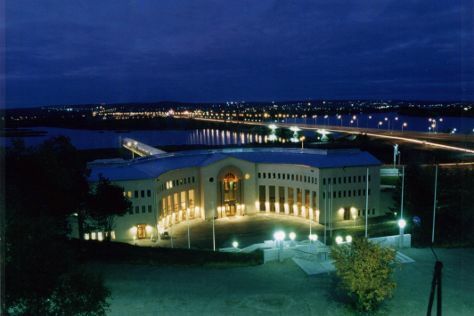 Wrap up your sightseeing on the 26th (Sat) early enough to drive to Rovaniemi. Kids will enjoy Santa Claus Village and SantaPark - the Home Cavern of Santa Claus. There's much more to do: take an in-depth tour of Arktikum, stop by Your Piece Of Finland, Head underground at Syvasenvaara Fell, and look for all kinds of wild species at Wildlife Areas. For more things to do, traveler tips, reviews, and more tourist information, use the Rovaniemi trip planner . Traveling by car from Kittila to Rovaniemi takes 2 hours. Alternatively, you can take a bus. In October, plan for daily highs up to 3°C, and evening lows to -1°C. Cap off your sightseeing on the 29th (Tue) early enough to travel back home.